The Renaissance popes were among the most enlightened and generous patrons of arts and letters in the Europe of their day. The diaries of Pius II (1405–1464) give us an intimate glimpse of the life and thought of one of the greatest of the Renaissance popes. Pius II began life as Aeneas Silvius Piccolomini in a small town near Siena and became a famous Latin poet and diplomat. Originally an opponent of the papacy as well as something of a libertine, Aeneas eventually reconciled himself with the Roman church and became a priest, then a cardinal. Finally he was elected Pope Pius II (1458) and dedicated his pontificate to organizing a pan-European crusade against the Ottoman Empire. 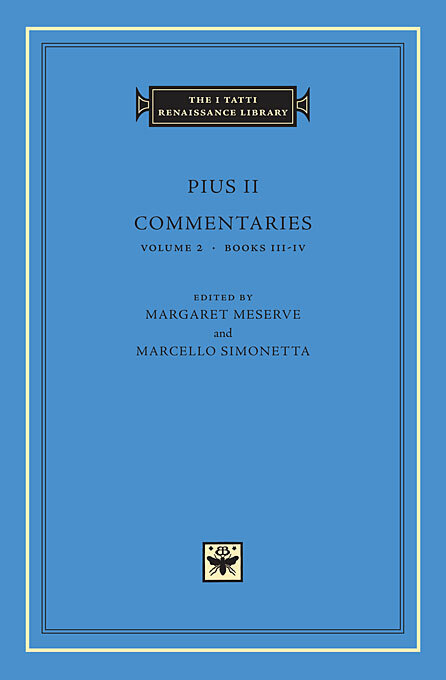 Pius’s Commentaries, the only autobiography ever written by a pope, was composed in elegant humanistic Latin modeled on Caesar and Cicero. 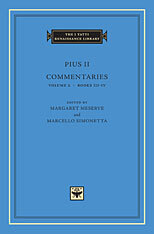 This edition contains a fresh Latin text based on the last manuscript written in Pius’s lifetime and an updated and corrected version of the 1937 translation by Florence Alden Gragg.